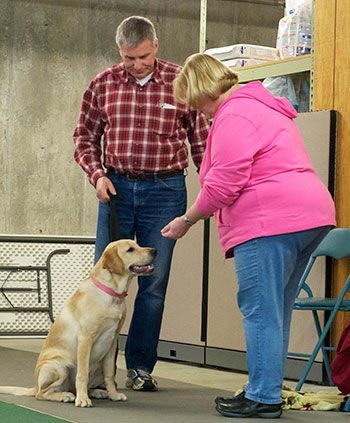 When your dog is rewarded for his successful efforts rather than punished for his mistakes, learning is a quick and enjoyable process for both of you. 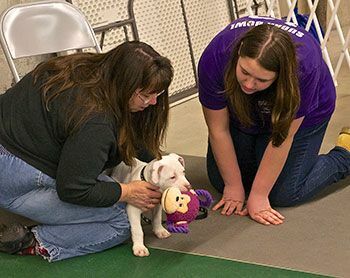 All Foranimals classes are structured for real life skill building and emphasize relationship/reward based training techniques including clicker or marker training. 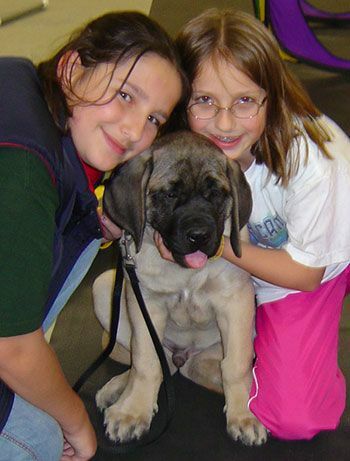 Leea loves to train new groups of students and welcomes families to participate in the fun of learning with your dog. You will graduate from any class knowing you have made good progress, have been supported in achieving your goals, and have a practical understanding of how to continue the training process at home. Check the calendar for next available class dates and location information. Greetings! & Take the Lead! 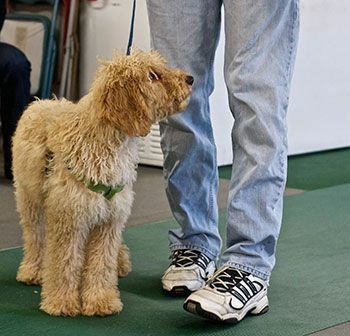 Learn polite and safe behavior techniques for greeting people or dogs at your front door, in your yard, in the car, on a walk, at the park, on and off leash. 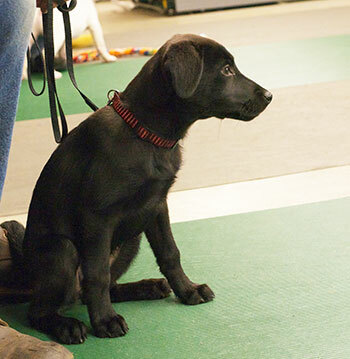 Turn the barking, lunging, jumping bad habits into calm, focused and controlled behavior. We touch upon these greeting situations in several different classes, but this is a chance to give full attention to these must-have skills for daily social interactions. 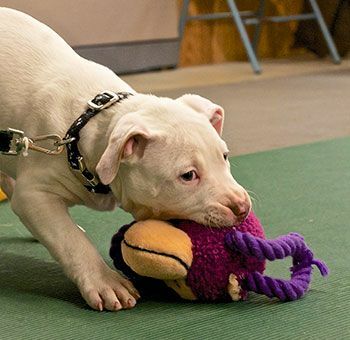 This training is exclusively for improving your leash walking experience. 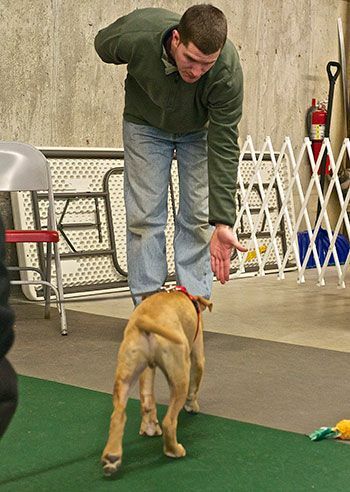 Topics include: choosing/using the best equipment for you, heeling made easy, proper leash handling and balancing techniques, how, when and what to reward on a walk and more. 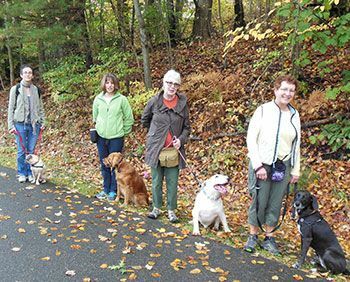 NOTE: All skill levels invited, but sorry this clinic is NOT designed for leash reactive/aggressive dogs. 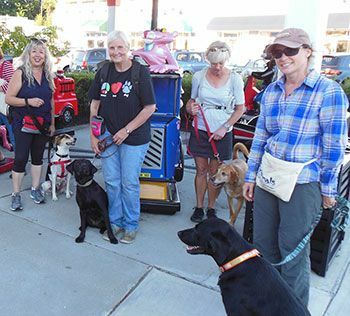 Each class meets in a different location: in town, at a shopping mall, in fields and walking trails. 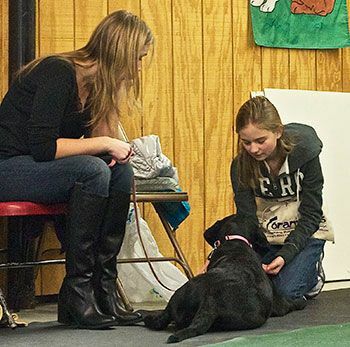 Skills appropriate to each location, such as heeling, polite greetings, strong recalls and stays, are emphasized. 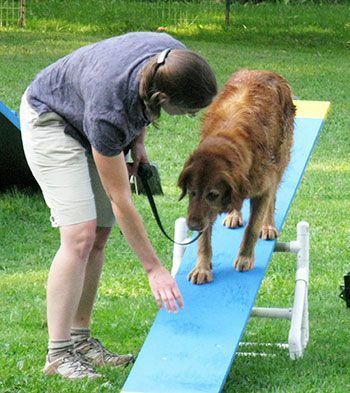 Gain confidence and skill so taking your dog new places is fun and safe. 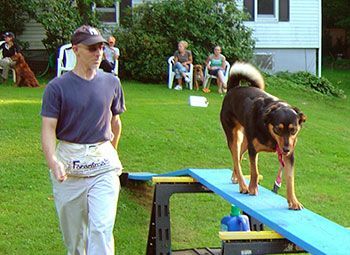 Learn the step-by-step method of teaching tricks, from planning to full execution, and how to combine tricks into mini-routines. 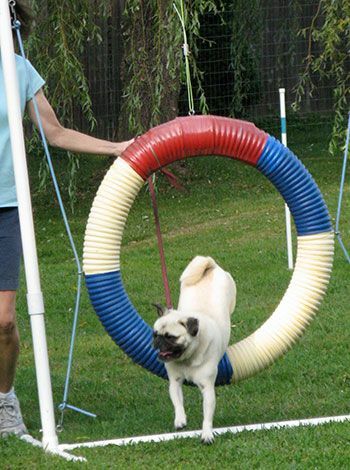 Tricks include: crawl, bow, wave, spin, sit pretty, roll over, weave, hoop work, retrieve and much more. 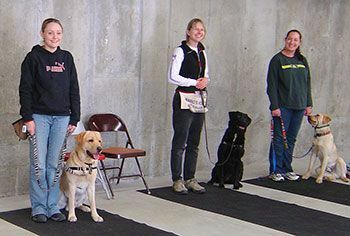 The Canine Good Citizen program is an opportunity for you to have your dog evaluated in ten areas that represent a well mannered dog that will be a respected member of the community. Three classes prepare you for the test which is administered during the fourth class. 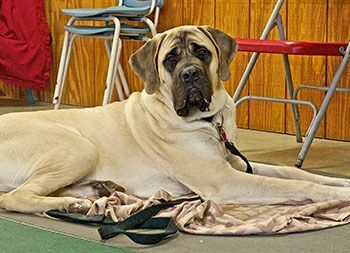 A required first step for Therapy Dog training (see below). 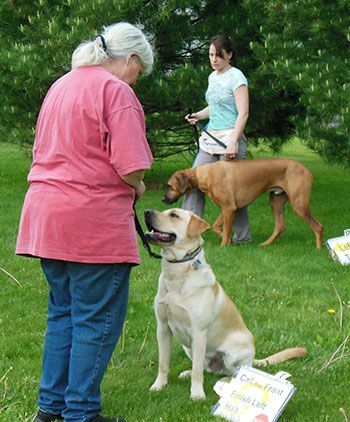 The Advanced Community Canine class and test is also available to all who have successfully earned their CGC title. 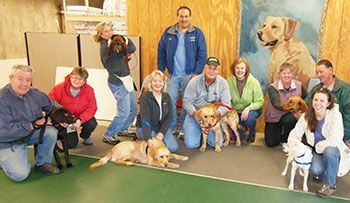 The Therapy Dog Training Program will prepare you and your dog to become a well qualified team for volunteer visits to area nursing homes, residential facilities, schools, etc. 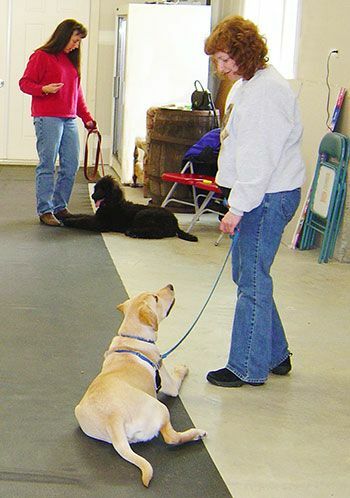 Classes will cover all team skills required to pass your onsite tests. Additionally you will receive guidance in handling communications with staff and residents, stress awareness and reduction tools, and everything you need to plan a well organized first visit. 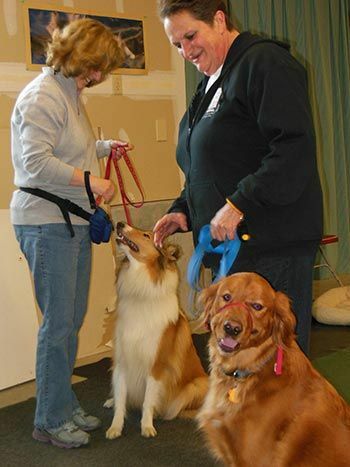 Those who successsfully pass their tests will be registered through the K9 to 5 National Therapy Dog Registry. To register, contact Leea for date availability, then download a registration form for any of the above classes.